Consistent high image quality – Your print piece will shine with sharp, clean images. Quick and easy printing plate production – That means we’ll be able to turn around your print job more quickly. Longer plate life – You’ll be able to print many copies – close to 1,000,000! – before new plates need to be created. Cost – This is the least expensive method for producing high quality, high volume print materials. 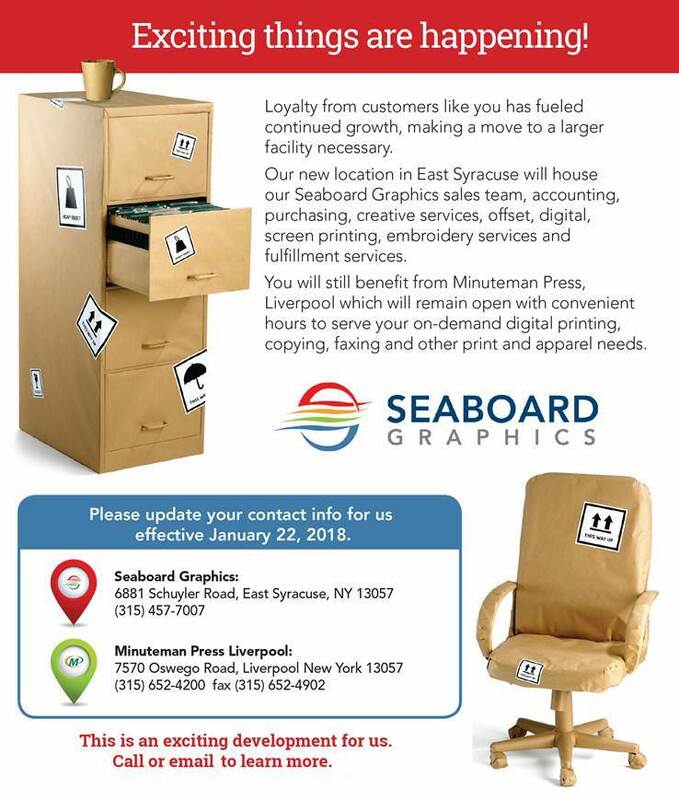 If you think offset printing from Seaboard Graphics is what you need to help you look your professional best, or you’re not sure if this is the right choice and would like to explore your options – no worries! Our knowledgeable, friendly staff will be happy to assist you – simply call us at 800-721-1663 or fill out this convenient online form.